From Merritt Island, Florida in the US, Tom Bradford, a retired business executive, and his wife Becky, a housewife and “full-time” grandmother, are teaching hundreds of Sunday School students – young and old – that the time has come for Christians to bless God’s nation. 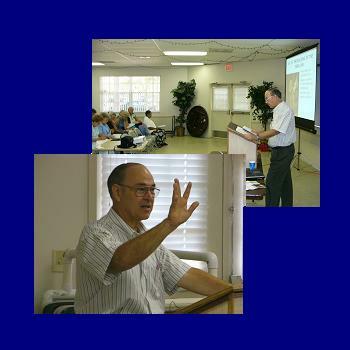 It all began three years ago, when Tom taught a “Jewish Studies” class to 35 parishioners of a local church. The class offered a cursory view of selected Jewish rituals. As part of their realization that God had given them a heart for Israel, Tom and Becky believed that in-depth, textual study of the Hebrew Scriptures and the Jewish origins of their faith was the way to put this calling into action. They prepared an interdisciplinary curriculum, including thorough study of the Hebrew Bible, with a historical perspective gleaned from Jewish sources, such as the Talmud. After they put a small ad in a local church bulletin announcing the new “Torah” class, over 100 people showed up the first day. Today Tom and Becky have an enrollment of over 200 students. The class eventually moved to a hotel banquet hall to accommodate the overflow crowd each week, and today double sessions are held at a local Veterans Administration center. For their students, this has shed a whole new light on Israel, which has been translated into action. Tom’s classes are recorded on CDs and are either sold for a nominal fee or distributed freely in order to spread the word. 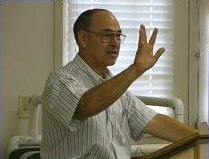 Two professional teachers who attend the Sunday School have volunteered to teach a simultaneous children’s Bible class. The Sunday School has arranged and sponsored important speakers, such as Taysir Abu Saada (“Tass”), a former PLO Fatah fighter, now a Christian, who speaks publicly on behalf of the Jewish people and Israel. CFOIC International Director, Sondra Oster Baras spoke to the Sunday School classes on the connection to Biblical Heartland. And Tom and Becky’s group tour to Israel for the Feast, including visits to communities in Judea and Samaria was sold out within a week of being announced! The Bradford’s grassroots effort shows how education translates into action. May they be blessed with strength to continue their holy work.